Our tournament is held during the Calgary Stampede which is one of the biggest rodeos in the world. Over the years the tournament has grown to become one of the most prestigious 7's tournaments in Canada. We have chosen to expand the tournament to include Junior Divisions to help promote the sport among the younger generation of rugby players. 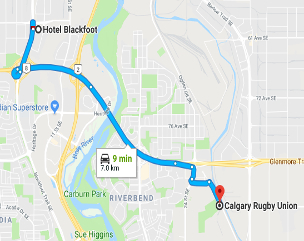 Over the years we have seen some fantastic rugby played in the Premier Division that has been championed by touring sides from the U.K., Fijian nationals, members of Canada's international squad and most recently the Calgary Mavericks. Our goal is to continue to provide a high quality 7's tournament, while contributing to the growth and popularity of this newly adopted olympic event. 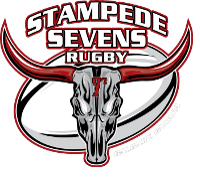 The Stampede Sevens committee is here to help you. Many of the members of the committee have been involved with the tournament for many years and we continue to build on the event from one year to the next. Should you require any additional assistance please don't hesitate to contact us.